Preheat oven to 500°F with pizza stone in the oven. 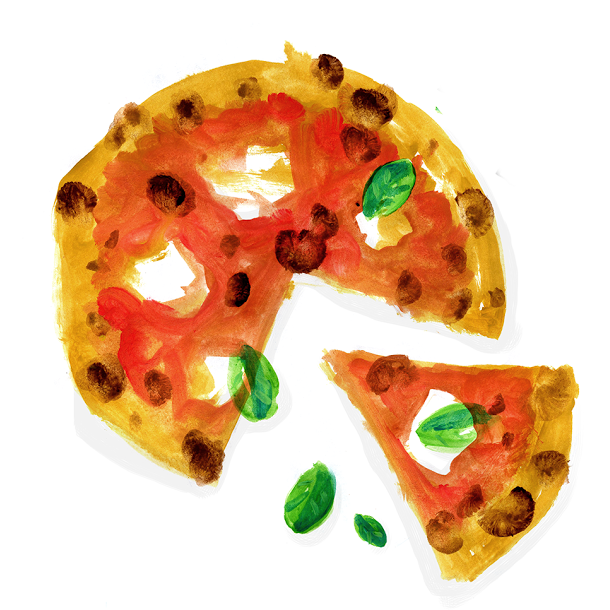 Dust pizza peel with cornmeal (or place parchment paper on the back of a baking tray if you don’t have a pizza peel). Stretch out dough using your hands and place on pizza peel or back of baking tray. Lightly drizzle olive oil on flattened dough and spread around with the back of a spoon. Spread a thin layer of crushed tomatoes on top. Sprinkle with salt and pepper. Turn oven to broil for 5 minutes. Immediately before baking, return oven to 500 degrees. Slide pizza onto pizza stone and bake for 8 minutes or until crust is nicely browned. Remove from oven. 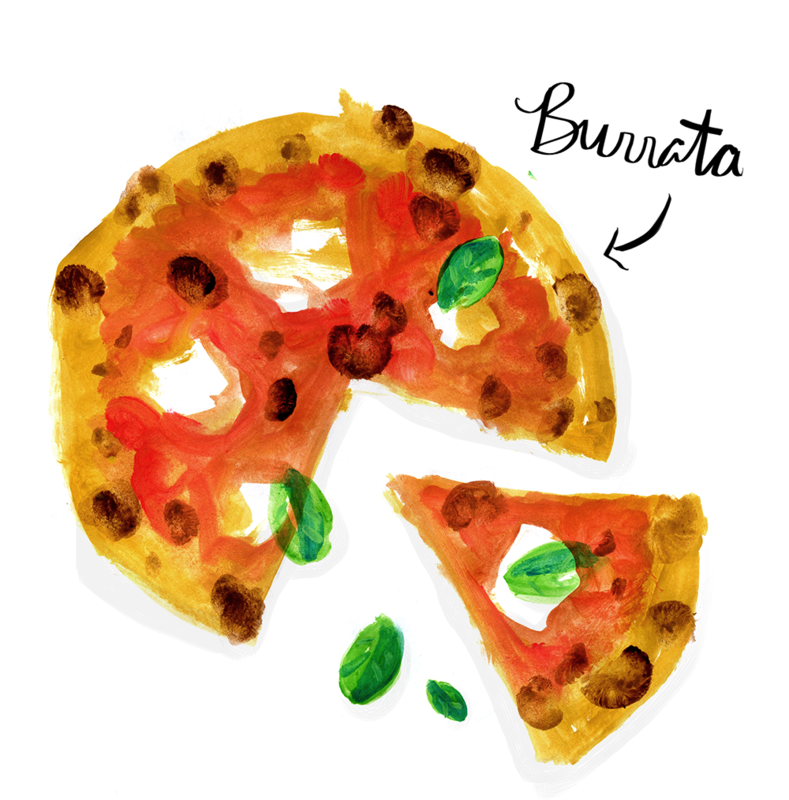 Scoop off pieces of burrata and arrange over pizza. Top with fresh basil leaves.